International Financial Reporting Standards (IFRS) are global accounting standards required in more than 125 jurisdictions, with many others permitting their use. These standards are principle based and aim to bring transparency, accountability and efficiency to financial markets around the world. 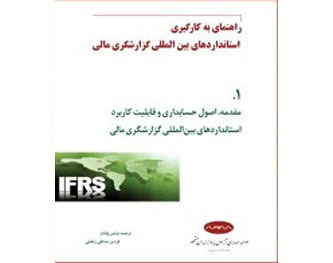 Considering the removal of global sanctions against Iran the interaction with international financial markets requires the application of IFRS. Therefore we placed the translation of “Manual on Accounting, IFRS” of PwC, the biggest audit firm in the world, on the agenda of our training and research unit. This booklet is the translation of the first chapter including introduction, accounting principles and applicability of IFRS. Remaining 33 chapters will be translated and published soon.